Used Tires .Com is a leading Exporter of Used Tires Worldwide. We offer Wholesale Used Tires to the tire industry in a wide range of tire sizes including European tire sizes. Used Tires .Com only sells good quality tires that have been inspected by our used tire experts. We provide all freight and customs documentation for all used tire shipments anywhere in the world as well as the trucking your used tires straight to your door. Other used tire wholesale companies promise, Used Tires .Com delivers. We offer competitive used tire prices in all tire sizes of American and European passenger and light truck tires. For Tire Dealers we have hard to get High Performance Low Profile Used Tires to Compliment your wheel package and Custom wheel packages…. So, if you sell wheels and you want to contact us to maximize your tire and wheel profits. Used Tires .Com is your one stop online connection for Quality Used Tires delivered to your tire store or tire warehouse in container load quantities. 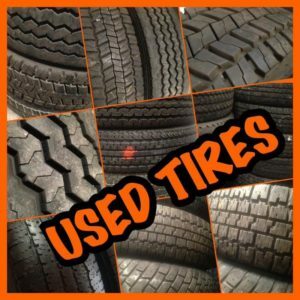 Whether you sell rims or your a tire dealer Used Tires .Com has bulk quantities of Used Tires in almost every size, available so you can guarantee a complete inventory in Passenger Used Tires and Light Truck Used Tires, and Used Truck Tires. Remember, Used Tires .Com is a worldwide leader in the sale of used tires. Used Tires .Com assists customers with shipping and customs documentation to any destination in the world. Attention Pennsylvania Used Tire dealers and New Jersey Used Tire dealers, Used Tires .Com will provide direct transportation of bulk quantities of used tires from our facility to yours. We are the experts at shipping used tires worldwide. 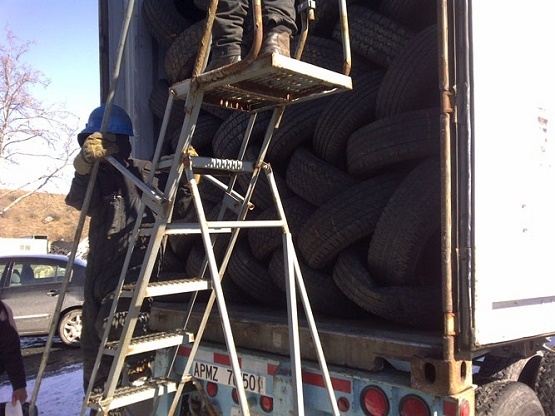 Used Tires .Com specializes in shipping wholesale used tires in Trailer load and container load shipments to used tire dealers and used tire exporters. At Used Tires .Com our tires are carefully packed into shipping containers and tractor trailers of all shapes and sizes.